A scholarly work woven with human drama, the book treats readers to an engaging account of Buddhism as it occurs in the everyday lives of two extended families in rural Northern Thailand. WSU assistant professor of cultural anthropology Julia Cassaniti spent 10 years observing life in the small mountainous community of Mae Jaeng. She formed close relationships with the villagers while helping in their shops, taking part in religious festivals, and offering support during personal conflicts and medical problems. Her account gives new insight and a deeper look at the social psychology of Buddhism. Much of the story plays out in the life of Sen, a young man battling emotional pain and alcoholism. 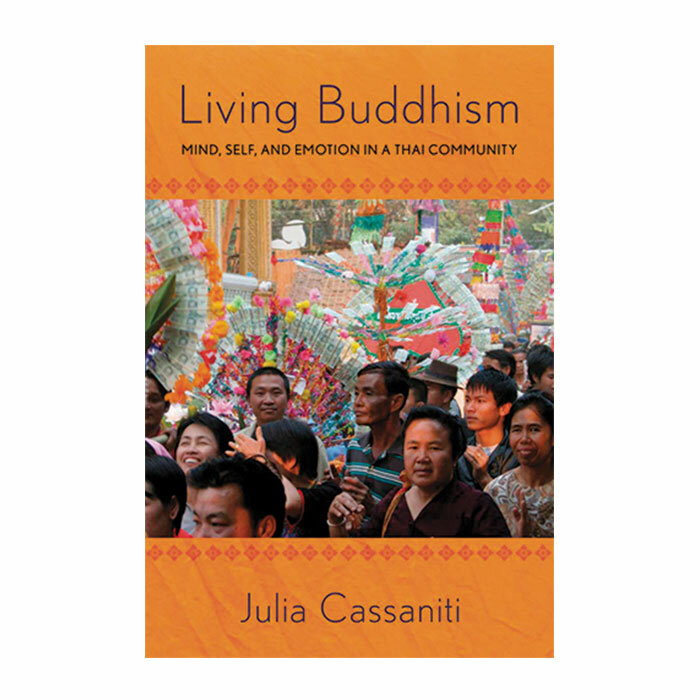 Cassaniti shows how the ideas of letting go, acceptance, and karma underlie a Thai Buddhist’s psychological and physical well-being, and help promote healing. Previous studies suggested that laypeople in Thailand have difficulty grasping these tenets of Buddhism—leaving it to monks and academics to explain the deeper concepts. Through detailed conversations, however, Cassaniti reveals that ordinary Buddhists do make an effort to understand and incorporate the beliefs into their daily lives and struggles. Cassaniti herself learns to assimilate some of these concepts. “Jai yen, Julia,” the Thai women tell her during stressful incidents. “Be calm, keep your heart cool.” Or they might say, “Tham jai, make your heart,” which means acceptance and letting go. For comparison, Cassaniti visits a nearby Christian Thai village where she sees cultural differences in the community’s emotional responses. While people from Buddhist Mae Jaeng show little distress over stolen money, for example —relying on karma, making the heart, and letting go —the Christian villagers more often reported being angry or sad and took steps to track the thief down.